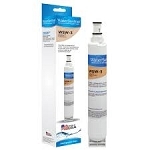 WaterSentinel produces aftermarket refrigerator filters for a wide variety of refrigerators from major brands. 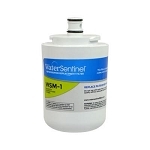 These filters fit their compatible models, producing a leak-free seal that lasts throughout the lifespan of the unit. 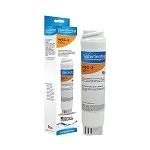 They provide performance that is identical to or better than original filters at a fraction of the cost. 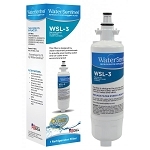 WaterSentinel filters improve the taste of the water and ice cubes produced by your refrigerator dispenser. 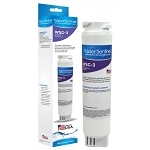 These filters achieve this by removing or reducing the chlorine in pretreated water while also eliminating undesirable tastes and odors. 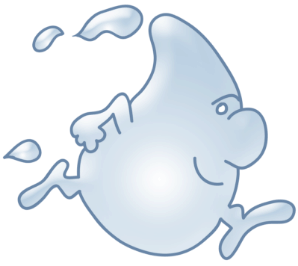 This quality makes them useful for making water coming in from the local grid taste great. 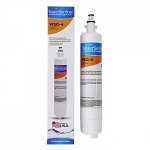 They’re also great as a final filtration step for a whole-house filtration system that cleans well water for drinking or cooking. 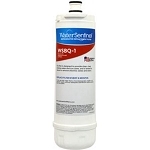 Drawing from the knowledge of water-filtration professionals with over 50 years’ experience in the industry, WaterSentinel produces refrigerator filters that reduce particulate matter in water. 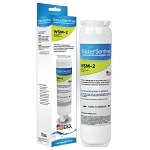 These filters improve the efficiency of appliances and protect them from the damaging effects of hard water without removing beneficial minerals such as fluoride. 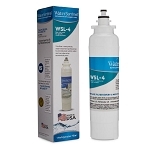 WaterSentinel refrigerator filters are available at a range of different prices and offer up to six months of life, allowing you to enjoy clean water from your refrigerator for months before replacement. 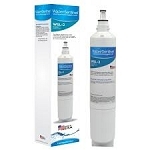 Water Filters Fast also offers many WaterSentinel refrigerator filters in bulk packages, with savings to be had per filter when buying multiple filters at once. 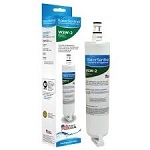 Please check the individual products for exact information on refrigerator compatibility before settling on a purchase, to ensure your filter fits and works as intended.